Long-awaited and much-discussed, the EU General Data Protection Regulation (GDPR) is finally here. The legislation comes into effect on 25 May 2018 and is designed to significantly increase personal data protection for EU citizens. As well as elevating protection for individuals it imposes far harsher penalties for those in violation of the rules. So, collections firms must ensure their data policies are up to date. There are several areas that apply to the whole organisation such as giving customers details about how you are using consumer data in a way that is easy to understand; transferring data to another party on a customer’s request and notifying customers and authorities of breaches. Monitor password policies and authorisations. Keep records to demonstrate consent has been given. Make records available to the supervisory authority on request. ‘Pseudonymise’ account and customer-level information. Invest in technology that help better manage access to data. Record these processes for GDPR monitoring purposes. Record access for GDPR monitoring purposes. 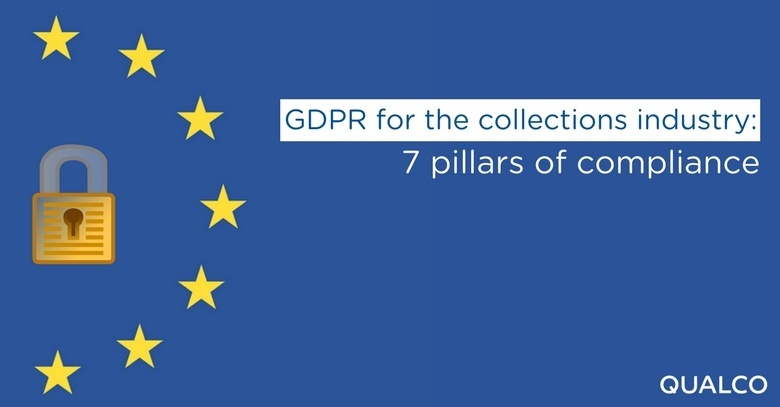 QUALCO Collections & Recoveries is configured for all these eventualities and offers a smooth transition process for those concerned with the requirements of GDPR. That means collections teams can focus on their core business, safe in the knowledge they are meeting their obligations.